Build your team with us! Build phase is where you set up the foundation of your project. You want to build the base of your project up with strong IT Profiles. Talented developers is what will hold your project together! You can gradually set up your own offshore development team with zero risks. 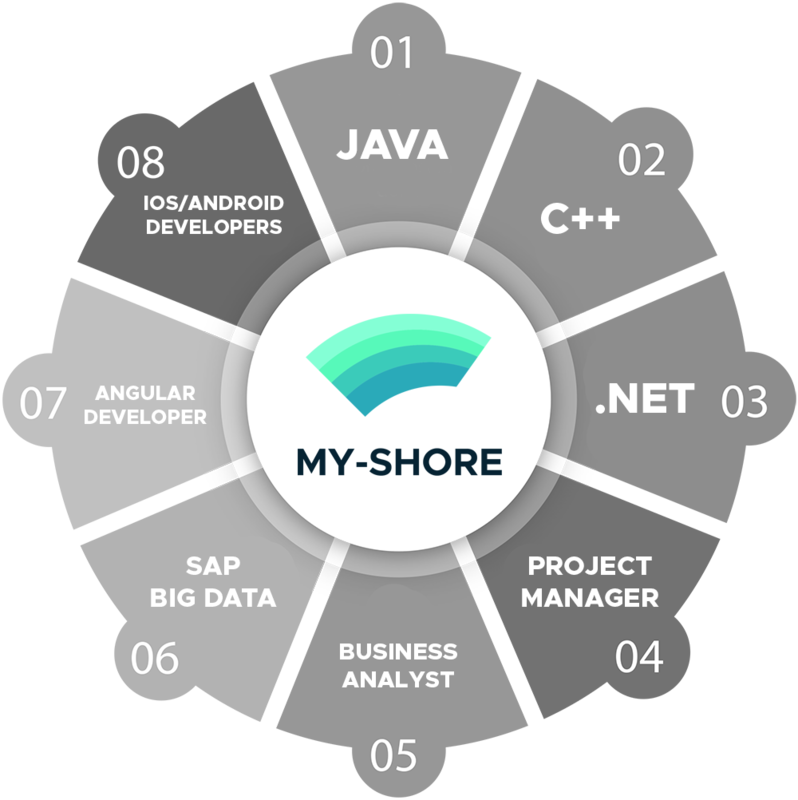 MyShore has the best IT candidates! How do you set your Software Development projects up for success? The Build phase is where you set up the foundation of your project. You want to build the base of your project up with strong IT profiles. Talent is what will hold your project together and you need to find the best IT experts available to supply it. We have exactly what you need to build a sturdy base that will hold up your IT project. We have exactly what you need to build a sturdy base that will hold up your IT project. Through our partner Madiff, we give you access to our talent pool of over 200 000 IT profiles all over the world!